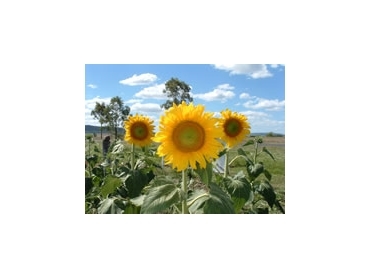 Pacific Seeds offers the Hysun and Hyoleic range of hybrid sunflowers. They have proven their worth and provided growers with excellent performance and maximum returns. Sunflower is actually the predominant summer oilseed crop grown in this country. In recent times, consumers have started to become more aware of the benefits of the various types of sunflower oil. In addition, the market for monounsaturated (or high oleic) oil is increasing. A pertinent statistic is that last season almost half of the Australian crop was monounsaturated. In this sector, Hyoleic 41 is the top hybrid performer. The Pacific Seeds Hysun sunflower range is available throughout the world. Hysun has become a popular choice in a lot of the toughest growing conditions because of its high yield potential, excellent disease protection and drought tolerance.